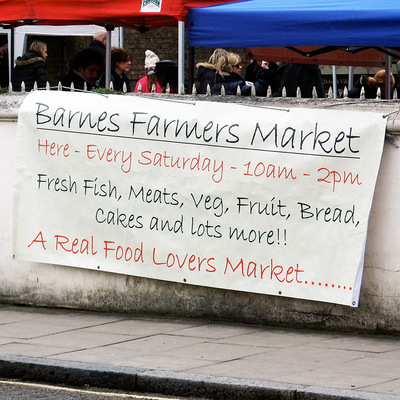 Every Saturday between 10am and 2pm, around twenty stallholders take over the grounds of Essex House Surgery for the weekly Barnes Farmers Market. 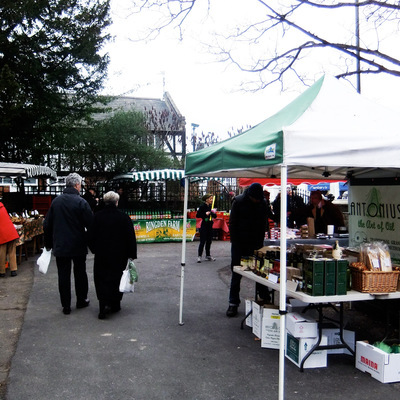 Situated opposite the picturesque duck pond in Barnes Village, South-West London, you can spend a lovely morning ambling among fresh produce from all over the UK. 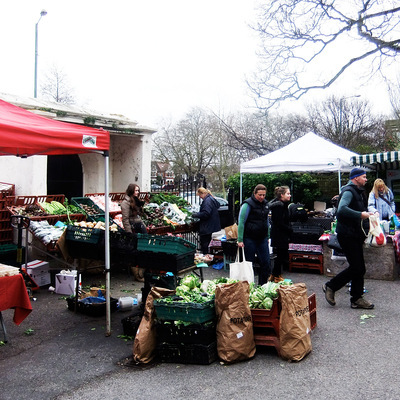 Take the opportunity to stock up on a great range of organic vegetables, free-range meats, fresh fish, tasty cheeses, crusty bread, eggs and much, much more (there are cash points nearby if you need to grab extra money). It's a lot more enjoyable than traipsing around a supermarket for the weekly shop, and if traceability is important to you, where food is concerned, then you can talk to the friendly stallholders and find out exactly where their produce originates. If it's a chilly day, you can warm up with a delicious take-away coffee, tea or hot chocolate from one of the regular stalls, or if it's warm indulge in a tasty homemade apple juice from another. 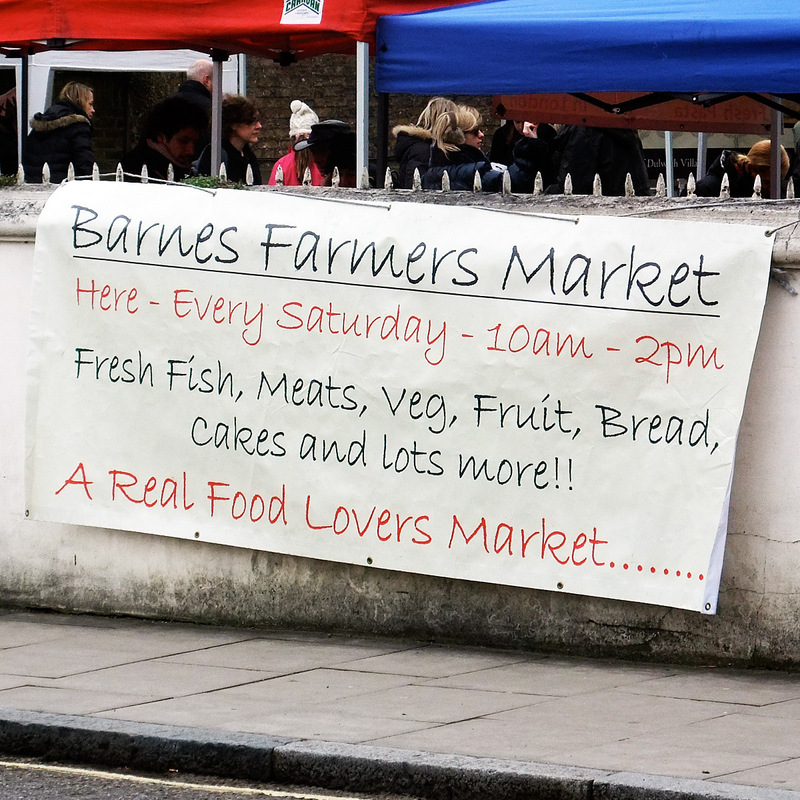 According to the website, Barnes Farmers Market is one of the oldest farmers markets in London. 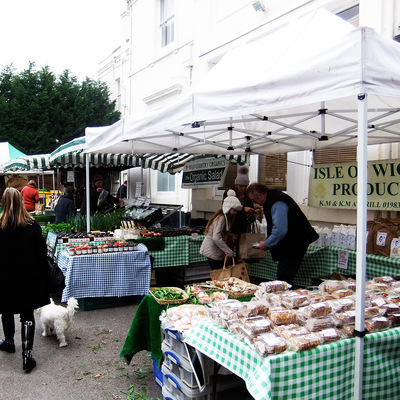 Visit the site for more information and also to find out who to contact if you'd like to apply for a stall. There is parking on the nearby streets, if you're arriving by car, or if you're travelling by public transport from London, you can get a bus from Hammersmith that stops right by the pond. Barnes over ground train station is close by too.